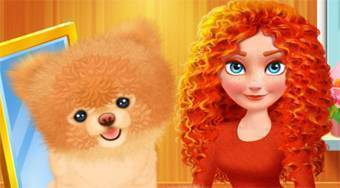 Do you like Merida Pet Care Saloon? Share it with your friends. Merida Pet Care Saloon - in the role of the Princess Merida take care of a small stray dog.